Modern West Fine Art was founded six years ago by Diane Stewart to showcase artists working to reframe an understanding of “The West.” Since its inception the gallery has continued to support that mission while also evolving in a more contemporary direction, showing works that expand the definition “Art of the West.” The gallery is now expanding, moving west to a larger location, and rebranding under the name Modern West. We will celebrate the opening of the new space with a group show of thirty artists, titled “New West.” In addition to our represented artists we will be showcasing a selection of guest artists, an exciting new direction which will enable us to create dynamic group shows, curatorially directed to highlight a broad range of mediums and themes. “New West” is intended to be an exhibition without curatorial limitations, an invitation to produce work with an element of personal discovery. “New West” participating represented artists: Liberty Blake, Fidalis Buehler, Day Christensen, Shalee Cooper, Al Denyer, Nathan Florence, Kiki Gaffney, Sheldon Harvey, Jann Haworth, Patrick Dean Hubbell, Levi Jackson, Tom Judd, Ed Mell, Paul Reynolds, Nate Ronniger, Billy Schenck, Woody Shepherd, Ben Steele, John Vehar. “New West” participating guest artists: John Bell, Tyler Bloomquist, Amanda Moore, Michael Namingha, Jean Richardson, Wren Ross, Carol Sogard, Wendy Wischer. John Bell’s multi-disciplinary practice explores the intersections of social media, digital imagery, performance and natural processes, examining social, political and cultural perceptions. It involves the appropriation and deconstruction of images and information popular culture produces, re-arranging it in various mediums to create opportunities for new meaning and critical examination of cultural values. Highlighting the ironies of a shrinking public domain in a culture where nearly every moment is openly and publicly shared… from the relevant to the inane. His work is an attempt to locate the authentic by simultaneously celebrating and critiquing a culture obsessed with status, self styled celebrity and consumerism. Bell has exhibited in over 60 group and solo exhibitions in the past 12 years, including the Aqua Art Miami & Art Context Miami fairs at Art Basel Miami the past 9 years, Utah Museum of Contemporary Art, the Torrance Art Museum in LA, New York’s Time Warner Center, the Kimball Art Center, BYU Museum of Art, Southern Nevada Museum of Art as well as gallery shows in Las Vegas, Los Angeles and Salt Lake City. His work has been placed in private collections throughout the U.S. and Europe. In December of 2016 Bell was honored with the Visionary Award from the Central Utah Art Center (CUAC) for his contributions as an artist and to the growth and fostering of the contemporary art scene in Salt Lake City both locally and abroad. Press accolades include a profile in the national art magazine Blue Canvas (Los Angeles), a cover editorial in Seven Magazine, (Las Vegas) “Beyond Pop, The man and message behind the paint”. His work and mid-century modern home has been highlighted in the Los Angeles-based lifestyle and culture-centric 944 Magazine and Utah Style & Design. Hailed as “artist on the rise” by Salt Lake Magazine, Bell has received numerous acknowledgments and reviews in NY Art World, City Weekly, Salt Lake City Weekly, Seven, and Juxtapoz magazines and a host of online publications. He is represented by Cancio Contemporary, Miami/New York & Brett Wesley Contemporary, Las Vegas. Tyler Bloomquist has dedicated the last 25 years to developing varied artistic practices. His range includes painting/drawing, printmaking, outdoor murals, photography, video/editing, prose writing, graphic design, as well as being obsessed with music of all types. I see my work as a distillation of built up influences, psychogeography, reading, random late-night ideas, gesture, people-watching and being an info junkie. I’m never exactly sure what this distillation process will produce, but I am honored to be able to include my two cents in this conversation we call Art. Day Christensen, mixed-media artist and sculptor lives in Utah. With a bachelor's degree in art and design and a master's in landscape architecture from Harvard's School of Design, Christensen's installation pieces can be seen all around the state. Christensen remains artistically committed to transforming the landscape of Utah. Day Christensen specializes in commissioned, site-specific sculptural installation work. His distinct, playful style, informed by his meticulous research, transforms both interior and exterior spaces, creating a more conscientious consumption of space for the viewer. Commissions are available upon request. 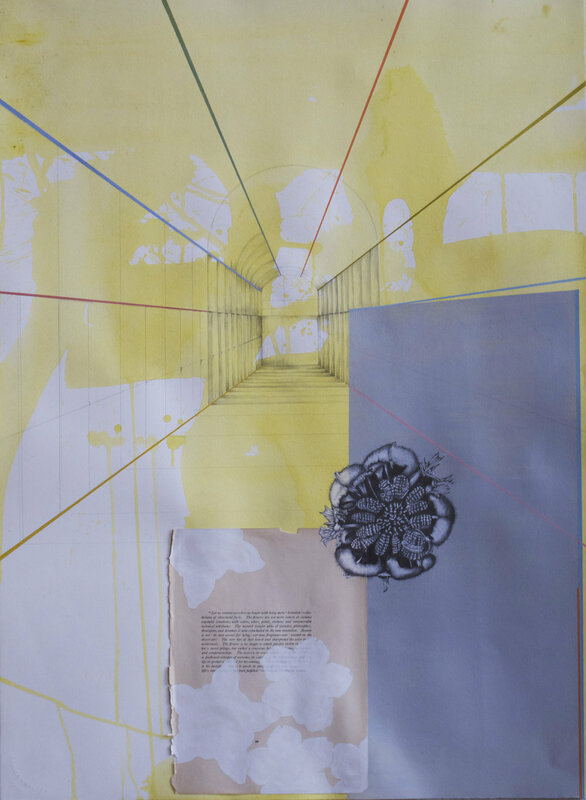 Al Denyer’s work encompasses the areas of drawing, painting, printmaking and installation. Shown in solo and numerous national and international juried and invitational exhibitions, her work has been published in Manifest INDA, New American Paintings, American Art Collector, Western Humanities Review and ‘Leonardo, The International Society For The Arts, Sciences And Technology Magazine’. 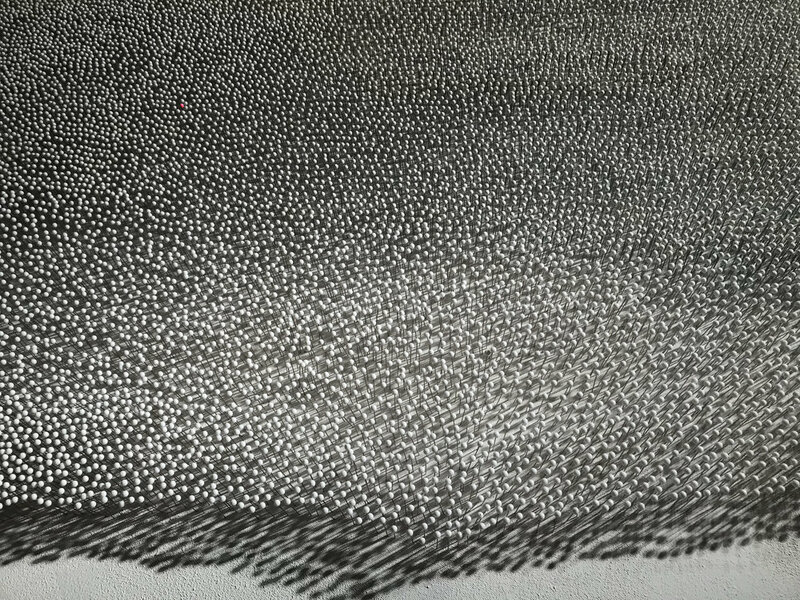 Al’s work is included in the Artist Viewing Program at The Drawing Center, New York City, and in 2010 she was awarded the Utah Artist Fellowship Award. Her work is part of numerous International collections, and she is represented by Modern West Fine Art. Originally from Bath, England, Al Denyer is an Associate Professor of Painting and Drawing, and Head of Painting and Drawing in the Department of Art and Art History at the University of Utah. I am invested in the idea of creating visual illusions, that manifest as a confusion of space / subject as I create different series of 2D works. 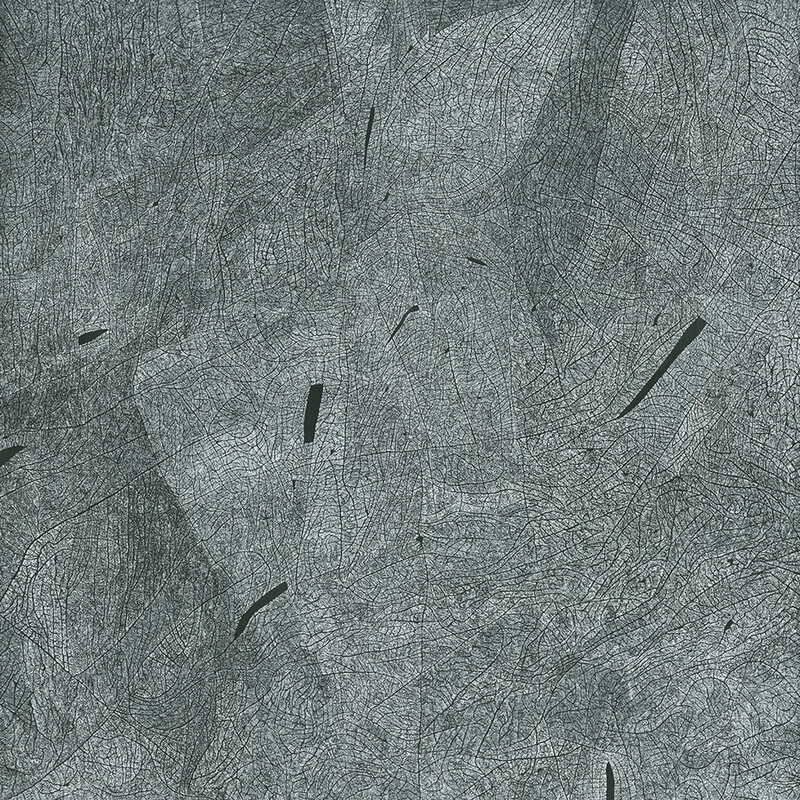 What appears as a satellite view of mountain ranges could also be skin as seen through a microscope (macro / micro), or strata on a vertical rock face. An assumed drawn line is in fact an erased line, as the positive, becomes the negative. The works that I make lead the viewer to question, step closer and out of a typical visual comfort zone. I am committed to the making of aesthetically ‘beautiful’ artworks, yet they are influenced by the ‘ugly’. The destruction of pristine landscapes, encroachment on protected lands from oil and gas exploration, the human desire to use, pollute, destroy and claim as our own are concerns that drive me as a visual artist to question and address through my work. I am an obsessive mark maker, and through my process, the minuscule becomes something so much bigger, massive and without boundaries. As thousands of small individuals might unite to protest / make a statement, similarly I see the act of drawing or painting multiple small marks as a way to make what ultimately becomes something a lot bigger. The massing of multiple marks creates a powerful illusory aesthetic in my work, resulting in an intimate dialog between the viewer and the artwork. The relevance of these works has links to the current wave of anti-environmentalist sentiment, denial of global warming and the planets foreboding shift to the Anthropocene. My intention is to create artworks that function beyond the surface, and lead the viewer to look closer, question, interpret and absorb. The pieces that became the body of work for this show are all focused around Mt. Olympus and the human figure; often together in the painting, but not always. For a long time I have set up challenges for myself in my art to make it more interesting or fulfilling. I work with brushes that are hard to control, I create unpredictable, chaotic surfaces or fabric surfaces, and so on. I began this work by pushing out into different directions; leaving more of the original surfaces exposed or just posing figures and landscapes in different ways. This is what I can do, for myself, and as an artist, to bring a sense of wholeness and beauty out of chaos. The abstract, rough canvases, balanced and tempered by the order on top of them. There is a gentleness to the creation and a sort of coaxing of an image out of wildness. My newest work is an attempt to respond as immediately as possible to a specific eye-catching view of a landscape or figure. I find it easy to get overwhelmed by the infinite possibility of beautiful landscape when I start to paint, so I have tried, with these pieces, to examine the first impulse I have. I'm also pushing the color and experimenting with color more than I have in the past. I have felt that I was mostly a "formal" painter and less "colorist", but I'm wrestling with both of those. Kiki Gaffney is a Philadelphia based visual artist who works in oil, acrylic and graphite. Her work draws upon the landscape, and the juxtaposition of patterns, both organic and constructed. She is currently represented by Pentimenti Gallery (Philadelphia, PA), Modern West Fine Art ( Salt Lake City, UT), and K. Imperial Fine Art (San Francisco CA). 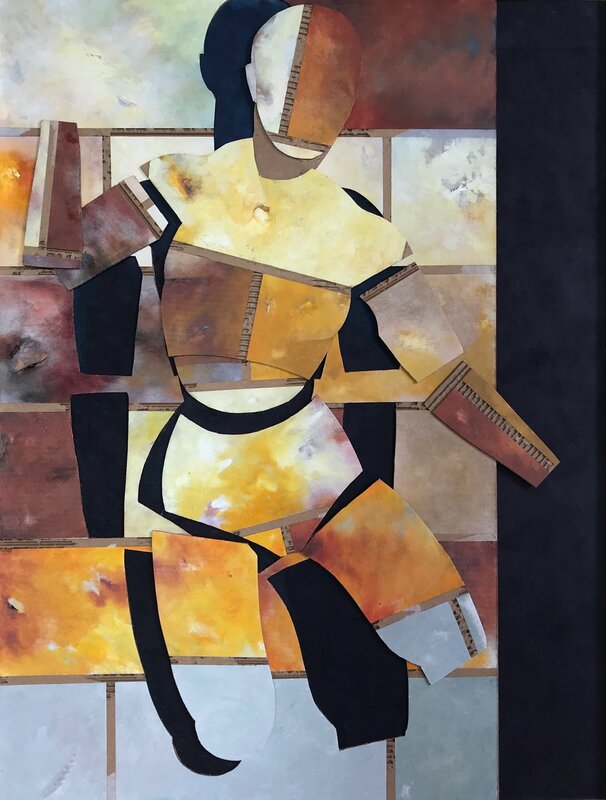 Kiki has had several solo exhibitions, most recently at Abington Art Center (Abington, PA) 2019, and Modern West Fine Art and K. Imperial Fine Art (both 2018). She has also participated in numerous group exhibitions around the country. Her work has been selected for past juried exhibitions by John Ravenal, Curator of Modern and Contemporary Art at the Virginia Museum of Fine Arts, Robert Storr, distinguished professor, curator and editor, and artists Elaine Reicheck and Odili Donald Odita. Her work is included in several corporate collections including Canon USA, Inc., as well as Sonoma State University. Kiki received a Bachelors of Arts in Studio Arts from Loyola College in Baltimore, MD, and an MFA in Painting from the University of the Arts in Philadelphia, PA. She lives in Philadelphia with her husband (and fellow artist) Tom Judd and daughter, Astrid. Over the last few years, my interest has centered around the organic and natural patterns found in nature – ranging from the veins of a leaf, to the shape of a honeycomb to the energetic arrangement of birds in flight – and how these patterns consciously or unconsciously re-emerge in our ‘created’ world, whether in a wallpaper design, a street grid, or architecturally. I am drawn to the symmetry and sequence in these designs because in some way, they reflect the stability we look for in our lives. There is a visual organization– extracting organic forms and constructing them in a way that offers pleasure, instruction or direction. Natural and organic formations inform and inspire designs within our society, whether functional or decorative. There is an expressed energy inherent, yet this often gets lost because patterns, ornamental and otherwise, are so ingrained in our culture that we often no longer notice them. My work aims to highlight this connection to nature, as a way to offer space for reflection, or just a way to pause, look and momentarily excuse ourselves from this fast-paced and plugged in world. I juxtapose animate shapes with design elements to explore the direct relationship between our natural and ‘created’ environments, the analytical and sequential accuracy, and order in the mark making. I want to highlight the beauty of configuration and decoration - what may often be looked upon as mundane – to ultimately create space for contemplation. Sheldon Harvey's work depicts spirit beings from the Navajo creation myth and other ancient traditions. His mixed media sculptures are made with wood, fabric, feathers, stains and paint. Each unique sculpture embodies a piece of Navajo folklore and Sheldon's creative spirit. These mixed media sculptures are based on the First World Beings in the Navajo Creation Story. According to the Navajo Creation Story, mankind has progressed through four different worlds. The first world was believed to be pitch black and filled with the Air-Spirit Beings who were insect-like. These are an interpretation of one of those Air-Spirit Beings in wood, metal, feathers and bright paints. Sheldon Harvey's works are included in major collections through out the United States, Europe and Asia. He has received numerous awards and honors including first place for sculpture and painting at the Santa Fe Indian Market and Best in Show for his oil painting. His innovative style has made him a much sought-after artist by collectors world wide. Jann Haworth is closely associated with the 60’s Pop Art Movement in Great Britain. Her most recent solo shows: Emmanuel Gallery Colorado University, 2017; Modern West Fine Art SLC 2015/17, Galerie du Centre 2016, Art Paris Grand Palais 2016; Museum of Art BYU 2013; Wolverhampton Pop Gallery 2009/10; Mayor Gallery London 2006. She has had 22 one person shows in Europe and the US. 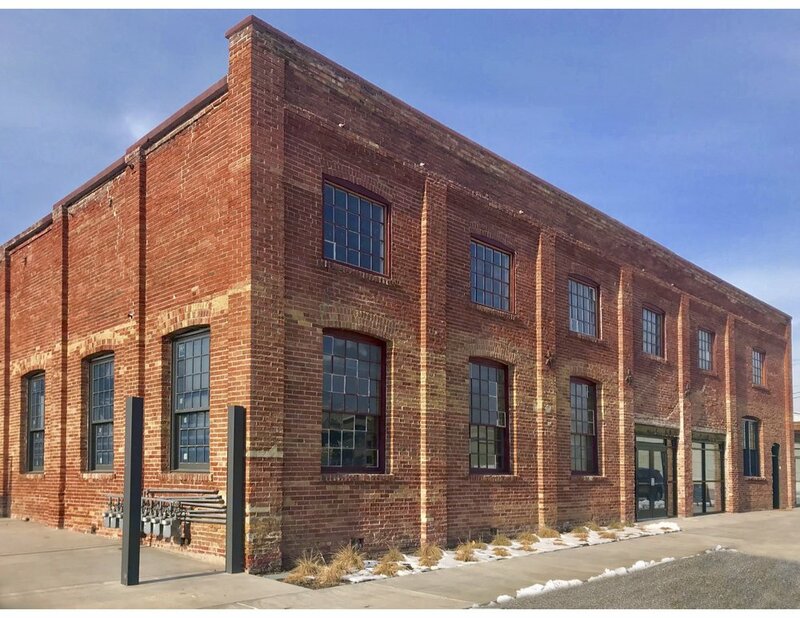 Haworth was a contributor/director for six public works projects in Salt Lake: The 337 Project, Director ‘SLC Pepper’, ‘On Broadway’ murals and The Work in Progress Mural 2016-2018. She has recently completed a mural for The Granary District. Salt Lake City featuring Dennis Hopper and another for Level Crossing Brewery and Bar SL County. Recent public collection purchases: The Tate Great Britain, The Utah Arts Council, UMFA Utah., Utah County Collection. She holds two unusual distinctions: a female Pop Artist and Co-Designer for the Beatle’s Sgt. Pepper Album cover [for which she received a Grammy}. She lives and works in Salt Lake City and Sundance, Utah. I am still wrestling with the idea of Modern West. For me it is not wrangling with horses, boots or cowboy hats, much as I would like to. Each of us sees the West thought a different lens-some see the land, Utah, Arizona, Montana, Wyoming, Nevada.... California ; some read the story Cormac McCarthy, Craig Childs, Ed Abbey, Amy Irvine, Ellen Maloy; some of us see 'the movie'. All my work links to links to my growing up in close proximity to the film industry- but that oddly enough that is not my west. The Movie captures the mythology-lies and all-and some films like Jr. Bonner come very close to this illusive heart that I want to hear. I think it is possible that this place without an exact border may hold the code that will bring us back to our ethical senses. Bob Redford reminds us that governments will not fix thing- fixing has to come from "the grass roots up". The west is one of the last vast areas not covered with asphalt, cement, and polluted land. We can still see the grass here. Levi Jackson uses an interdisciplinary approach to his work combining photography and installation with nods to performance. 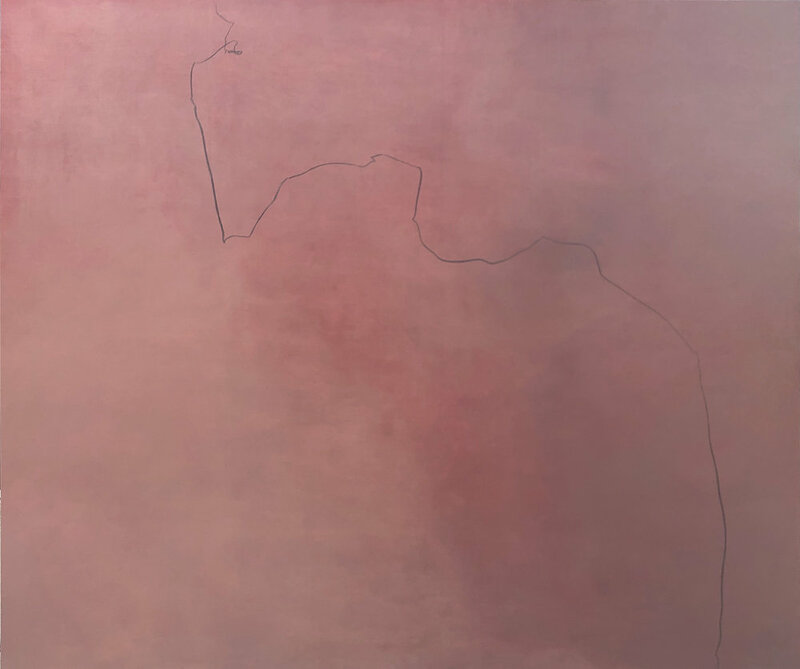 His work revolves around the western landscape, where he was raised, and challenges the historical perceptions by pairing it with contemporary understanding. Levi received his MFA from Pratt Institute (2013) and now lives and teaches photography in Utah. He has shown work nationally and internationally with a solo exhibition at the Utah Museum of Contemporary Art (2015) and group exhibitions at Kunsthalle Osnabrueck (2017), Gerish Stiftung Foundation (2015), HPGRP Gallery (2012). Lately, I’ve been thinking about the value of myths. A lie, a meaningful lie. I have been trying to understand how a legend or folk tale operates, why they exist and what purpose they serve. I’ve always thought that the fabricated vision of the West was a misrepresentation of reality and that my job was to lift the veil, so others could see the ‘truth.’ I’m now making work where I am less interested in direct truth or reality and more concerned with how the myth says something that truth could never approach. I choose to use photography in my work because the image produced is simultaneously a hyperreality and an incredible truth-teller. It can make us see and understand things, not as they really are, but as we want them to be. This photographic thesis aligns itself naturally with my vision of the West. What does this process of myth- ing the West tell us about ourselves (myself)? How have our choices to portray this landscape as a sublime oasis or rugged cowboys, informed our role as colonizers and conquerors? I am looking at the Western landscape and its incorporation of bent-truth and tall-tales as metaphors for humanity in a contemporary context. My work is closely tied to physically being in the landscape, while simultaneously existing for the aftereffect. I make and think for the photograph. Constructing the sets, photographing, dismantling and revealing all become analogous to creating a reality. The removed site and creation of truth is central to the perception that I am critiquing and questioning. It is the reality, and the lie, of the mirage that most draws me in. Tom Judd was born in Lawrenceville, New Jersey in 1952, but grew up from the age of two with two sisters and a brother in Salt Lake City, Utah. His father Thomas Grant Judd, a Salt Lake native, was a grandchild of the famous Mormon president Heber J. Grant, although Judd's family were not active church members. Judd's mother, Virginia Rapp Leonard was originally from Indiana. Judd attended the University of Utah from 1970 to 1972 when he departed on a six-month leave of absence to travel in Europe. He returned in 1973 to attend the Philadelphia College of Art where he studied with Rafael Ferrer, Bob Kulicke, and Larry Day, graduating with a BFA in painting in 1975. Judd first exhibited his art work at the Philadelphia Museum of Art in 1979, where at 25 he was included in a survey show entitled "Contemporary Drawing: Philadelphia" curated by Ann Percy and Frank Goodyear. The museum purchased a work from that exhibit for their permanent collection. 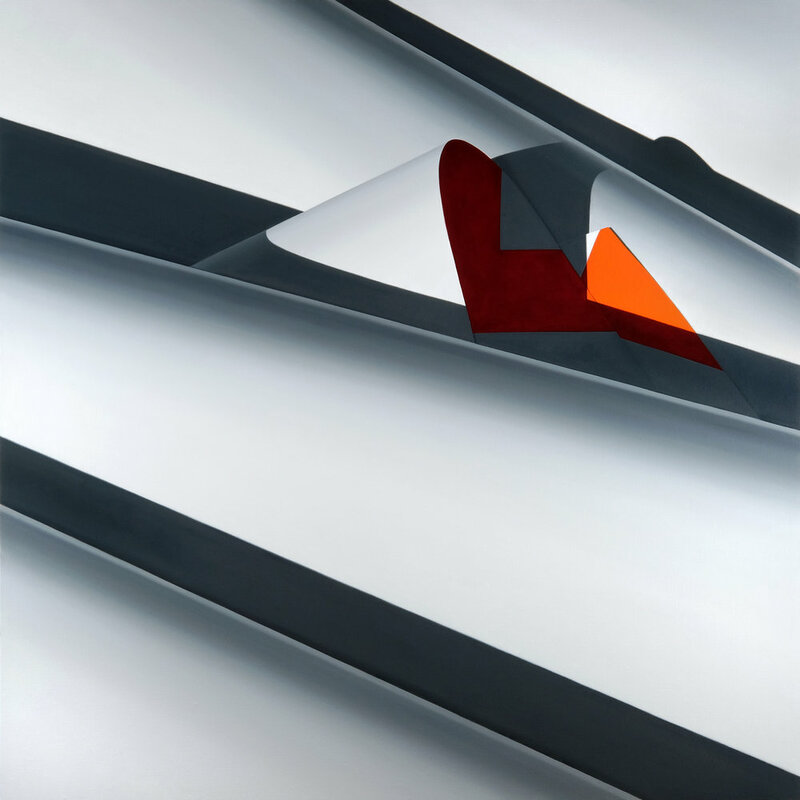 Judd went on to exhibit his work in distinguished commercial galleries beginning with his first solo exhibit at Eric Makler Gallery in Philadelphia in 1980. Judd was soon recognized in New York City, including Monique Knowlton and Coe Kerr Gallery. In 1984 he was given a solo exhibit at the Pennsylvania Academy of Fine Arts and had work purchased for their permanent collection. In 1990, Judd had a ten-year retrospect at the Philadelphia Art Alliance. The show also traveled to the Salt Lake Art Center the following year. In 2009, Judd joined forces with curator and gallery owner Allen Sheppard to produce "Evidence of a Collected Past". This exhibition was staged at the Globe Dye Works - an alternative art space in Philadelphia - and consisted of a 20 year retrospective of Judd's works. Judd has also participated in many public art projects including a billboard next to an interstate 76 in Philadelphia in 1994 and a seventy foot chalk drawing in Salt Lake City in 1997. That same year, he was curator and organizer of an exhibition in New York City with twelve invited artists entitled "The Chalk board Chronicles", which is being made into a documentary film. In 2000 he was commissioned to do an exterior mural for the city of Philadelphia's Fringe Festival through the mural arts program. He also completed a mural for Friday Saturday Sunday restaurant in Philadelphia. In recent years, he has branched out into installation projects including "The Hermit Project" at Stremmel Gallery in Reno, NV in 2005. That same year, he traveled to Tijuana, where he collaborated with Mexican poet Omar Pimienta to produce "Tijuana Weekend" at Scott White Contemporary in San Diego. The show consisted of a Mexican shack made of found materials imitating the housing found south of the border as well as a series of portraits of Mexican women. My work is a series of collages and fragmentations of surfaces and imagery. It speaks about memory and metaphor. I combined landscape, still life, patterns, and figures in an effort to imitate the eclectic nature of our memories. I used everything from wallpaper, found photos and postcards, to handwritten letters and recipes. Some of my mentors and fellow travelers are Walker Evans and Joseph Cornell. Evans photographs captures the strange poetry of the association of everyday objects collected with a sort of reverence and meaning. Cornell on the other hand was all about manipulation, yet he too used everyday objects and imagery to create a mysterious and sacred place, not unlike a religious alter. As with Cornell and Evans I think of this work as visual poetry that creates a context of mystery. In this way, it suggests the finding of an artifact from another time. It imparts a contradictory sense of loss and discovery on the viewer. Dimitri Kozyrev was born in 1967 in Leningrad, USSR. He moved to United States in 1991. Kozyrev received his MFA from University of California, Santa Barbara in 2000 and his BFA from Ohio University in 1997. Since then Kozyrev has had multiple solo shows at Cirrus Gallery, Los Angeles, Mark Moore Gallery, Culver City, CA, Benrimon Contemporary, NY, NY, David Richard, Santa Fe, NM, Golf Coast Museum of Art, FL and Breese Little, London, UK. He has also been in a number of group shows at museums and galleries in New York, Chicago, San Francisco, Dallas, Tucson, Houston, Amsterdam, London, Krasnoyarsk (Russia). Reviews of his work have appeared in The Los Angeles Times, The Chicago Tribune, Artweek, Artforum, Huffington Post, Art Itd., Artinfo, Wall Street International and many on line publications. For the past twenty years he was a Visiting Professor at UC Santa Barbara, CA, a Professor of Art at The University of Arizona, Tucson, AZ and a Visiting Professor at St. Edwards University, Austin, TX. He recently moved to Salt Lake City where he keeps a full time studio practice. Lost Landscapes series | This body of work stems from observations based on the driving experience. Using freeway systems as the investigative constant, this paintings and drawings attempt to recreate the pure structure of urban landscape. In recreation, the original experience is replaced with the image of “lost” landscape. The environment along the freeway structures is essentially lost for the driver in the fast movement of the vehicle, because the driver’s attention is always directed forward; the landscape disappears on ether side of the driver, and only fragmented elements of it imprint in the driver’s memory. Fast driving reduces the visual experience from detail to generality and we never can reproduce the whole picture of the trip, only scattered elements as if they had been caught by a strobe light. The formal resolutions of these pictures are influenced by the ideas developed by Russian Constructivists and later by Bauhaus scholars. Only minimal elements are chosen for my pictures in order to affect the viewer in a matter of seconds; these images must have only that amount of information, which is essential for the message I am about to deliver. Born in 1942, Ed Mell spent an idyllic childhood in what was then the small western city of Phoenix. He attended Art Center College of Design in Los Angeles, and soon after graduation accepted a position in New York as an art director for a large advertising agency. Seeking a break from the city's pace, he accepted a teaching position on the Hopi reservation in 1970. Time spent on Arizona's Colorado Plateau reconnected Mell with the land he loved and his artistic course was set. He relocated to Phoenix and began painting his well-known landscapes. I am an artist, photographer, and an adjunct professor at the University of Utah and Westminster College. I currently live in Holladay, Utah. Originally from Cleveland, Tennessee, I received my B.A. in 1998 in English with a focus on Fiction Writing from the University of Tennessee, Chattanooga. I then worked in a family business for a few years before moving to Atlanta, Georgia. While there, I attended the Art Institute of Atlanta and received my Associates in Photographic Imaging and gained experience working with several commercial photographers in the Atlanta area. I came to Salt Lake City to attend the University of Utah and in 2005 received my M.F.A. in Photography. In 2006, I received an emerging artist grant from the Utah Arts Council. I have had solo shows at the Kimball Art Center, Rose Wagner, and the Sundance Film Festival. My work was also featured in Postmodern Utah at the Utah Museum of Contemporary Art. I received a public art commission for Millcreek, UT and won a juror award from the International Fine Art Photography Competition: Grand Prix de la Découverte. I have two children, a nine-year-old daughter, and six-year-old son.I am a Girl Scout Leader and in charge of their school’s annual arts festival.I also currently serve on the Salt Lake Modern committee for Preservation Utah.Most recently, I co-curated Transcontinental: People, Place, Impact for the Utah Arts and Museums. In the ’60s, stores like K-Mart, Wal-Mart, and Target, began building what we now call box stores. These stores were created so that all of their wares could be available to the public. Very little stock was hidden away. These stores were not only massive in square footage, but their indoor height was unheard of until then. The shelves, in some cases, were too high to reach without a ladder. The parking lots could be almost double the footprint of the stores themselves — the space accommodated for large amounts of customers and the growing car culture. Then came Amazon. Consumers began visiting online shops more than traditional brick and mortar stores. The spaces that began a mass extinction of small businesses and local neighborhoods is now facing its demise. In 2017, thousands of these behemoths sheltered for good. Some have had rebirths as gyms, churches and even museums. But many sit empty with uncertain futures. There are so many of these shells that they have become a part of our shared landscapes that we use as markers for directions and memories of childhood. When Toys R’ Us closed up shop, many of the Gen Xer's and younger mourned childhood experiences. Maybe only those in New York City remember similar mourning when Toys R’ Us took over the FAO Schwarz in Times Square. The facades and faded signage of these spaces have inspired this newest body of work. Much like the abandoned gas stations on Route 66 and the remnants of gold rush towns, these represent our past. One that has inevitably been changed by a more convenient experience. The rise of the interstate system left the small cities along old highways abandoned, and now the connections in the cloud are emptying the strip malls. Many would find these spaces blight to our community, but some see them as a potential for future endeavors. I see them as the endangered species they are, ones to be captured before they are gone forever. Michael Namingha is a visual artist with a spare contemporary aesthetic who works in the medium of digital inkjet images printed on canvas and paper, as well as numerous types of installations. A keen observer of today's society, he creates a compelling mix of imagery and words commenting on modern interpersonal relations and popular culture. His ability to distill everyday conversational statements results in work that surprises and engages the viewer. He studied at Parsons School of Design in New York, where, in addition to creating artwork, he worked on projects for Hermes of Paris and Richardson Sadeki architecture firm. Michael is very active in the Santa Fe community, serving on many boards in addition to his service as an arts commissioner for the city of Santa Fe. Born and raised in Santa Fe, New Mexico, he is the youngest son of well-known contemporary artist Dan Namingha. Paul Reynolds studied art at the University of California and at the University of Utah, graduating in 1976. 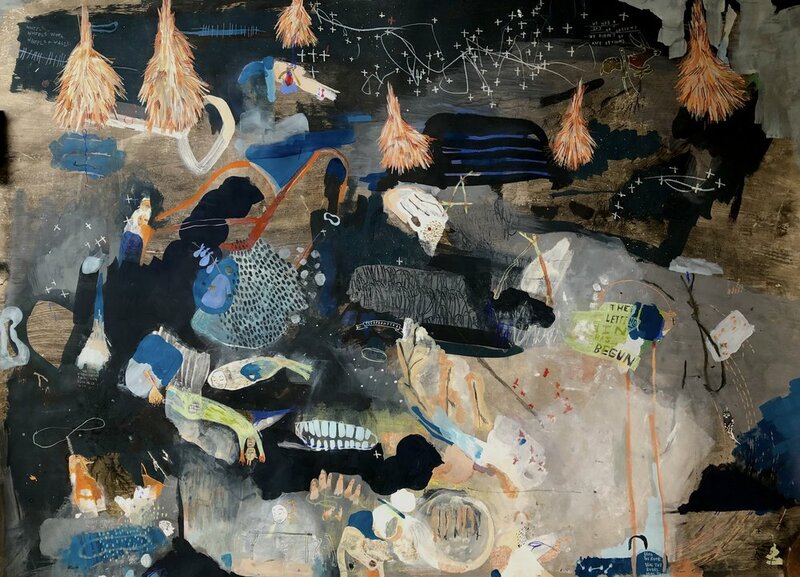 He has had solo shows in Washington, Oregon and in Utah, and has participated in group shows around the country. In addition to painting, he has done some performance art work in the past decade, performing by invitation at the Mobius space in Cambridge in 2015. His current body of work reflects that performative spirit. It has been exciting and challenging to work on this new group of paintings. I have moved from dense mark-making to something that feels very personal and stripped-down. Applying paint in thin washes on birch panels, I develop a surface that has no obvious strokes or clear shapes, making gradual color shifts. Near the end of the painting, I add one or more blind-drawn lines with a thick drawing pencil. This line is the result of some physical movement and acts as a record of an action: spinning, running, switching pencil hands behind my back. Each line is drawn without looking at the surface, lending the line a certain life of its own, almost out of control, with a physical charge and weight. It is one shot in fresh paint. No going back. Jean Richardson is a Scottish artist and educator living in Utah, where she was awarded the Utah Fellow. Her sculptures and installations are made from her many collections of commonplace objects. Jean received her BA(Hons) in Drawing and Painting at Duncan of Jordanstone College of Art and Design in Scotland. She moved to the US to continue her art education at Brigham Young University, where she received her MFA in Studio Art. Jean has also researched, exhibited and taught in a variety of other countries, including Israel, Spain, Tonga, and New Zealand. My art work explores the dichotomy of displacement and belonging; it is a direct response to my relationship to place and the conflict of feeling both lost and found within a place. I identify mostly as a Scot despite being a dual citizen of the United Kingdom and the United States. I enjoy living in new places and other countries, getting itchy to leave and experience something new. Yet while living abroad, at times I am crippled by longing and miss the close connection to family, Scottish humor and green hills. Influenced and inspired by my experiences living in different climates and cultures, I make collections of ordinary objects, which trigger memories and ignite a sense of comfort and wonder. The objects are carefully chosen both for their arbitrary meaning and their personal significance. Reclaiming the objects into sculptures and installations, which become poetic metaphors for the longing to find the familiar within the unfamiliar while concurrently seeking out the unfamiliar to detach from the familiar. After graduating from the University of Utah, Nate began focusing entirely on fine art oil landscapes and pursued his career path while living alternately in California and Hawaii. While attending different exhibitions and galleries of contemporary artists, Nate was struck by the modern approach to still life painting. From this inspiration he began to reinvent his own approach to fine art. Leaving traditional landscapes behind, Nate now paints scenes staged entirely by his own imagination and design. While his popularity grows, so does the scale and complexity of his work. Nate lives in Hawaii and shows his work in many exhibitions each year. Wren Ross is a works on paper artist whose dreamlike and sometimes bizarre narratives inhabit a space that is both severe and sensitive. With a personal practice centered on empathetic engagement and intuitive mark-making, her body of work is firstly concerned with the ritual of noticing, and celebrates the mundane, the simple and the overlooked. Born and raised in Utah, Wren graduated with a Bachelor's degree from the Rhode Island School of Design in 2006. Influenced by myth, allegory and the mark-making traditions of prehistoric peoples, her work seeks to create a space for introspection and dialogue in an ever-shifting political, social and environmental climate. Wren's work includes traditional materials, namely water-based drawing and painting tools, as well as materials found in the natural world, such as herbs, minerals, earth and salt. My work uses the overlooked remnants of humans in environments to explore the role of sacred landscape in contemporary culture. These remnants take a wide array of forms: frost traceries on the hoods of parked cars, mismatched brick walls in alleyways, ouroboroses of wire flattened in the street and old snow slouching gracefully against warehouse walls. By examining the incidental cast-offs of the human world – “mundane artifacts” – from the anthropological perspective of sacred objects, I ask questions about their relevance to our modern culture. This found content becomes a lexicon that informs my interpretation of our current social and political climate, and the hatred, violence and fear that abound daily. It focuses on the wounds apparent among human communities who have lost touch with their environments and with the non-human world. Because my body of work is concerned with countering this state of disequilibrium with the development of new mythos and archetypes, my goals are to produce work with an emphasis on exploration, analysis and integration. I am influenced by traditional creative practices and rituals of the distant past-- a time when humans were (arguably) more connected with their landscape. Often these practices were meant to pay respect to the land on which they subsisted, and to the broader non-human world of which they were only a part. They created sacred objects, developed personal written and spoken languages, sang, drew, danced and were still. In this way these communities were more fully woven into their ecologies and to one another, a dimension of living that we presently lack. Because these practices were so varied, my exploratory responses manifest in a variety of media, in photographs, sculpture, works on paper. I collect straw from vacant lots, I make ink from urban dyestuffs- rust, rocks, weeds. I take photographs of well-trodden places that nevertheless contain a myriad of overlooked and undervalued information. This work strives to find a modern echo of those historical sacred practices, and the intrinsic human urge to connect and integrate with landscape, and with one another. It is a tonic for modern loneliness, for the great swipe of wireless technology that replaces intimacy with ease and speed, and whispers urgently in an ancient cast-off language that is nevertheless familiar. Woody Shepherd was born March 17, 1980 in Greensboro, NC, though lived most of his childhood outside Birmingham, Alabama. He obtained a BFA from the Rhode Island School of Design (2003), with an emphasis in painting and drawing, and a MFA from Yale University (2005) in painting and printmaking. Since 2005, Shepherd has lived in Logan, Utah, where he is an assistant professor of painting and drawing at Utah State University. Shepherd's studio is based in Logan, where he continues to work on his paintings. My paintings reflect my fascination with the beauty found in the interaction between perception, painting, and the natural environment. Beauty is created when a composition achieves a balance within the tension between contrasting forms and stylistic representations. This tension emerges when a composition encompasses a myriad of formal elements. When the inner forces of the tension are particularly dynamic, a painting explodes with sensations; that is profound sentiments are produced from a clash between visual energies and stylistic descriptions. Separate but interwoven fragments of representations provide the viewer with many ways to perceive a landscape. The various parts of my paintings can be viewed differently depending upon the focal point. 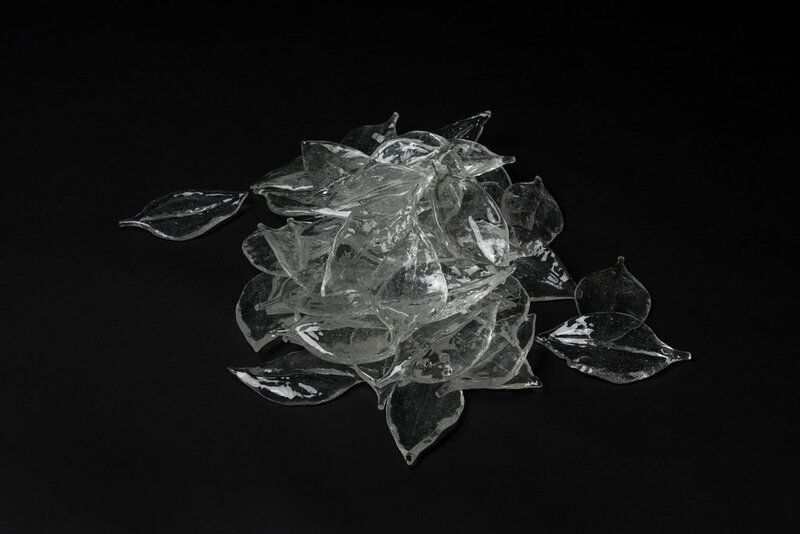 As the viewer's focus changes, the separate fragments rearrange to form new, unified, patterns and spaces, causing him/her to perceive different realities. One's reality is thus formed by his/her perception, which is subsequently shaped by a multitude of different factors occurring simultaneously. Each of these factors is employed to alert the viewer of the existence of numerous perspectives and realities. Perception isn't exclusively molded by the visual experience. Psychological activity, both conscious and subconscious, stimulated through the emphasized use of abstract patterns, gestalt effects, and the illusions of after images and the entopic phenomena, equally shapes the viewer's reality. Formal elements are manipulated to generate the cerebral activity. Various contrasting transitions and combinations between formal elements such as light and dark, warm and cool, fast and slow, and rough and smooth, directly affect human emotions such as happy and sad, good and evil, anxious and calm, and sarcastic and serious. The array of forms functioning together thoroughly accesses the spectrum of human emotion. Through the blending of stylistic representations and formal elements, my paintings are meant to engender active thought and intense emotion on the part of the viewer. He/she is presented with infinite realities, whose mingling ultimately illustrates a microcosm of the natural environment. Carol Sogard is an American artist living in Salt Lake City, Utah. Born in Detroit Michigan she studied Graphic Design at Michigan State University. After working in advertising in Detroit, she moved to Utah obtain an MFA in Graphic Design at the University of Utah. Her primary research interest relates to sustainable design. Her design work and textile art has been honored and published by the AIGA, How Books, Print Magazine, Rockport Publishers, Utah Division of Arts & Museums, as well as exhibited in galleries across the United States. Since 1999, she has served as Associate Professor of Graphic Design in the Department of Art and Art History at the University of Utah. She believes it is essential to teach today’s student about how to use their creative abilities to create positive change in the world. Her work sheds light on the environmental impacts of human consumption habits. Habitat destruction, extreme weather patterns, and industrial chemical pollution have impacted our species ability to survive and lead to an increasing number of endangered species. Our earth is a delicate system of checks and balances. When one part of the system fails, the system is compromised. 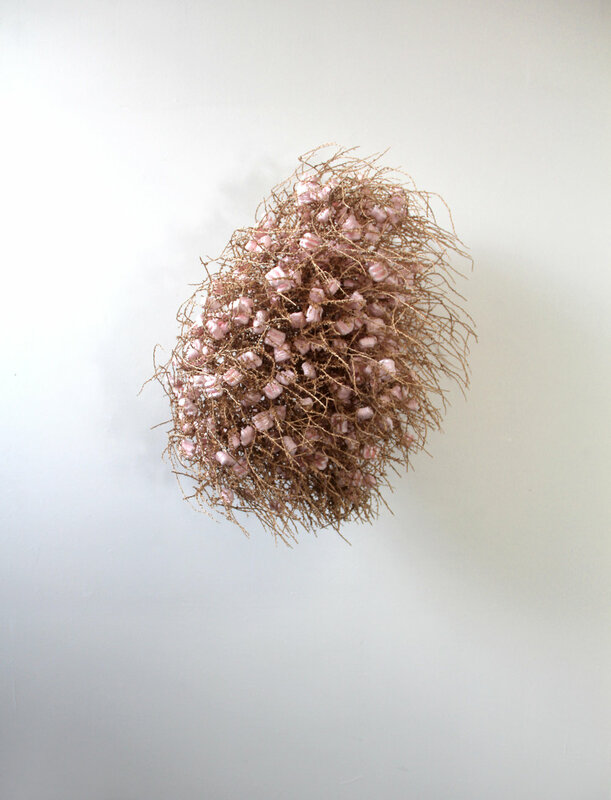 This work examines the delicate balance of species within our environment. Keystone species define the health and survival of entire ecosystems. When a keystone species is removed from a habitat, all other species are affected and may risk extinction. A beaver is a keystone species that has been often been accused of destroying landscapes and farm crops, so much so that farmers use dynamite to destroy beaver dams. Yet half of North America’s threatened species rely on wetlands created by beavers. Their dams improve water and soil quality, prevent drought and provide habitat for sensitive plants and animals. Ecosystem Engineers visually communicates the importance of the beaver and the threat that their loss may have on the environment. A self-taught artist, John Vehar has been painting for more than 20 years- pushing genres, mixing mediums, and proving that the only constant is change. The result is an expansive, informed portfolio that ranges from the figurative, abstracts, realist oils, and even large metal work. Before turning back to the world of fine art, John was a successful graphic designer for more than 15 years. Born in the windy town of Rawlings, Wyoming, John now resides here in Salt Lake City. My work centers around concepts of innate potential, power, and individualism. Through the act of painting I aim to explore what motivates human beings to create, destroy, achieve, and question. I will often use stand-ins or recognizable archetypes to represent humanist and universal concepts. These dream-like symbols help me explore both the positive and negative motivations of men and women. Horses can represent positive individualism and the power of free expression, whereas wolves can been seen as predatory behavior. Often, hard mountain-like structures, hidden by soft cloud-like masks, allude to hidden power or potential. As far as my process is concerned, I find it absolutely essential to physically engage with the concepts of order and chaos, and I try to find the right balance between the two. My goal is to place myself as a painter, and the viewer as observer, in the middle of order and chaos as a reminder of the balance that we struggle to hold on to in an ever-challenging social landscape. I often limit my tools and palette to just a few items to push myself to achieve more, with very little. In this way, through the very physical act of painting itself, we can remind ourselves of the resourcefulness we possess and the unlimited potential of individualistic expression. Born in Wisconsin 1971, Wendy Wischer currently lives and works in Salt Lake City, Utah, after relocating from Miami, Florida where she lived and worked for over 15 years. She received an MFA from Florida State University,1995 and a BFA from the University of Wisconsin Madison,1993. With a focus on artwork in a variety of media from sculptural objects, to installations, to video, sound and public works. Much of the artwork is based on blurring the separation between the intrinsic history of working with nature and the cutting edge of New Genre, and New Media. The conceptual focus highlights environmental issues; finding ways to translate data into personal understanding and create artwork that moves the viewer in poetic ways. Through the research, a wide range of data is sought that can be used to creatively link nature with technology, science with mythology and personal identity with universal connections while addressing our current environmental crisis in hopes of finding impactful ways to connect people more deeply with the environments they live in.She is the recipient of numerous grants including the Pollock-Krasner Grant, the South Florida Consortium, the Florida Individual Artist Fellowship, the Utah Division of Arts & Museums Visual Arts Fellowship and recently several prominent research grants from the University of Utah where she is an Assistant Professor in Sculpture Intermedia. Wendy has exhibited extensively nationally, and her international exhibits include Spain, the Dominican Republic, Mexico, Canada, Italy and Israel. She is an alumni of the Creative Capitol Professional development program and her work is part of several public collections including the Perez Art Museum, Art Bank Art in Public Places Miami, Art in Public Places Miami Beach, the Boca Museum of Art in Baca Raton Florida, the Colorado State Art Collection and the Utah Division of Arts & Museums Collection.